TWO Roman sites in Falkirk district are to feature in a new banknote, being launched by the Clydesdale Bank. The Roughcastle site near Bonnybridge and the Kinneil Roman Fortlet by Bo’ness are featured on the new £50 note, to be launched later this year. The new note is part of a collection being launched by the Bank to celebrate prominent Scots and Scottish World Heritage Sites – including the Roman Antonine Wall – and coincides with the Homecoming celebrations. Councillor Adrian Mahoney, Falkirk Council’s heritage convener, said he was pleased to see the local area featuring in the new collection of notes. “It’s great to see the Roman sites at Roughcastle and Kinneil on the new £50 note, to mark the World Heritage Status for the Antonine Wall,” he said. “Anything that raises awareness of this monument, and encourages people to this area, has to be a positive step forward. The Antonine Wall became part of the Frontiers of the Roman Empire World Heritage site last summer. Falkirk district includes some of the best preserved sections of the Wall – and is also home to two museums with strong Roman collections: at Kinneil, Bo’ness, and Callendar Park in Falkirk. 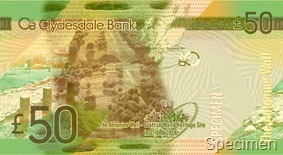 The Clydesdale honour for the Antonine Wall follows the decision of rival Bank of Scotland to issue a note featuring its near neighbour, The Falkirk Wheel, in 2007. It’s the first time in almost twenty years that the Clydesdale has launched a completely new family of banknotes. New notes are being issued in £5, £10, £20, £50 and £100 denominations. £5 Featuring Sir Alexander Fleming, who discovered penicillin, on the front and St Kilda on the reverse. £10 Featuring Robert Burns on the front and The Old & New Towns of Edinburgh on the reverse. £20 Featuring Robert the Bruce on the front and New Lanark on the reverse. £50 Featuring Elsie Inglis, a suffragette and surgeon, on the front and the Antonine Wall on the reverse. £100 Featuring Charles Rennie Mackintosh, architect and designer, on the front and the Heart of Neolithic Orkney on the reverse. Alex Salmond MSP MP, First Minister, said: “Scotland has produced banknotes for hundreds of years, marking the culture, heritage, tradition and resilience of Scotland, its people and our financial sector. Clydesdale Bank’s launch of a new banknote family, commemorating the 250th anniversary of the birth of Robert Burns and Homecoming 2009, is an indication of its strength and commitment to Scotland in the current economic climate. 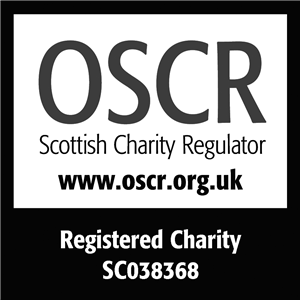 This entry was posted in Uncategorized on January 21, 2009 by Friends of Kinneil.